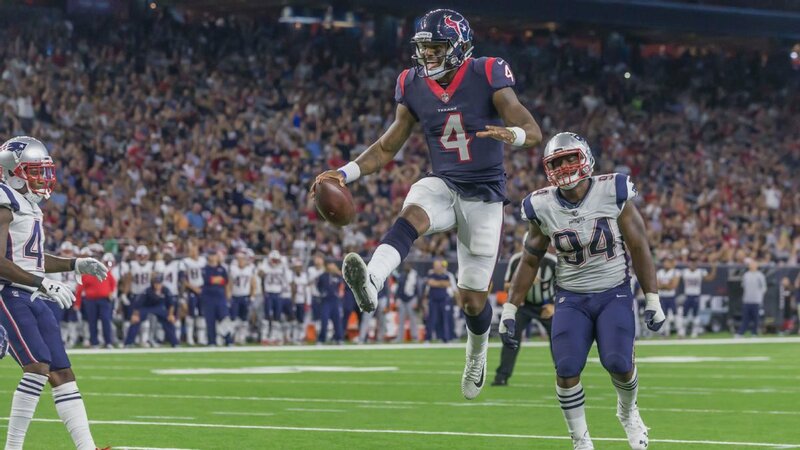 For years, fans of the Houston Texans have been praying that their team would acquire a franchise-caliber quarterback. They had hoped Brock Osweiler could be that guy, but that experiment failed horribly. But then they still had Tom Savage and they drafted Clemson superstar Deshaun Watson. Surely, one of those guys will work out—right? We will not know for sure until the regular season starts. But one week into the preseason, it looked like the team may actually have two guys in Savage and Watson that were ready to play. Of course, facing any team in the preseason is nothing like what playing a regular season game will be like. But when all you have to go on is practice and preseason action, you have to give whatever you do see some weight. Heading into Saturday night’s game against the New England Patriots, head coach Bill O’Brien probably hoped he could get a little more clarity on his QB situation. Even though it was only a preseason game, a team fielded by the Patriots in the preseason is still better than many regular season teams. So, if he was going to get any clarity on his quarterback situation it was going to be against the Patriots—and he got it. Savage looked very good in the two drives he played in completing eight of nine passes for 98 yards and a touchdown. The touchdown pass was a beauty of a two-yard pass to Jaelen Strong, too. It looked like he could have had another touchdown on the first drive. But for some stupid reason, on fourth and six from the eight-yard line they sent Lamar Miller run up the middle rather than attempt a pass. Going for it on fourth and six on the opening drive of the game was the right call. But a run up the middle? It was not the right play. Okay—but how did Watson do? After completing 60 percent of his passes against Carolina, he completed only three of ten attempts for 102 yards. The bulk of which came on a 63-yard catch-and-run by fellow rookie D’Onta Foreman. It was apparent that he was making an effort to throw from within the pocket. He did have some passes get away from him. But he has also made some tough throws. He’s been putting the ball where his receivers can make the catch (despite being covered). 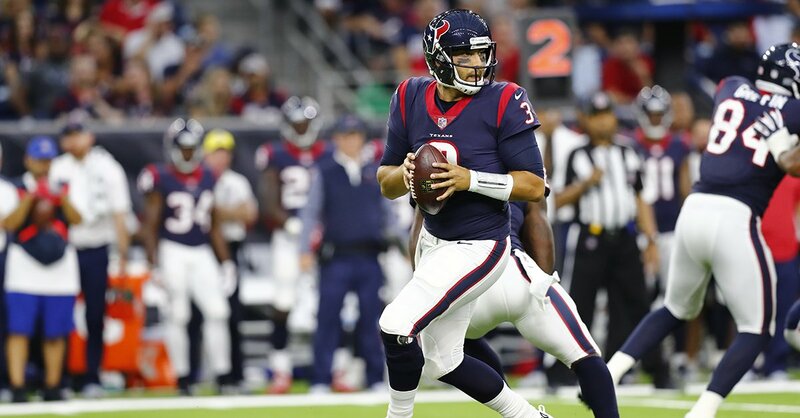 Tom Savage would not have made the two-yard scamper that Watson made in the second half for a touchdown. Kony Ealy would have crushed him. All the talk has been geared towards Savage starting the season for the Texans. At this point, that looks like the right call. That is not to say the team couldn’t do just fine with Watson at the helm. He would be learning on the job, but that is a common tactic used in teaching quarterbacks. However, if the team is looking for someone more polished to lead the team, Savage is the man they want. Oh—and for those who care about preseason scores, the Texans beat the Patriots, 27-24.